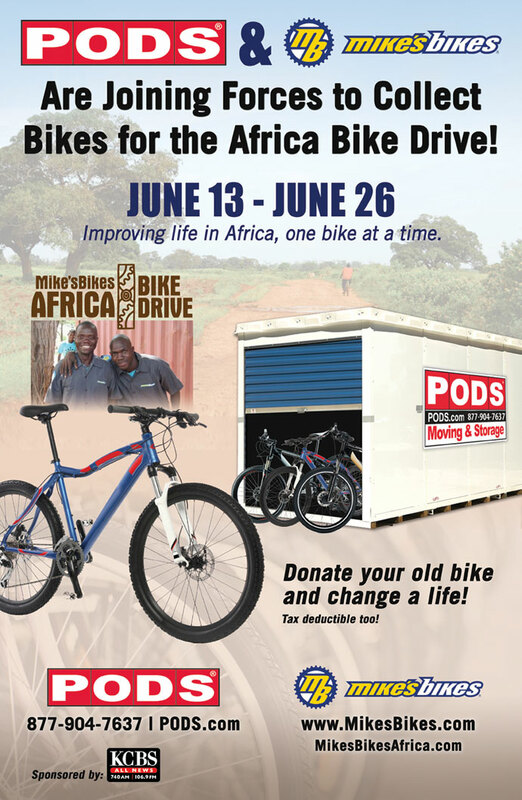 PODS of San Francisco donated nine PODS® containers to Mike’s Bikes to store donations for its upcoming Africa Bike Drive, June 13-26. The PODS® containers will serve as temporary bicycle donation centers and provide on-site storage at nine Mike’s Bikes locations throughout Northern California. At the end of the bicycle drive, PODS will drive the containers to a central staging area where volunteers and staff will prepare the bikes for shipment to Africa. Mike’s Bikes designed the Africa Sister Shops program to build a self-sustaining supply of working bikes in Africa, and to promote economic growth by teaching African entrepreneurs how to run a bike business. 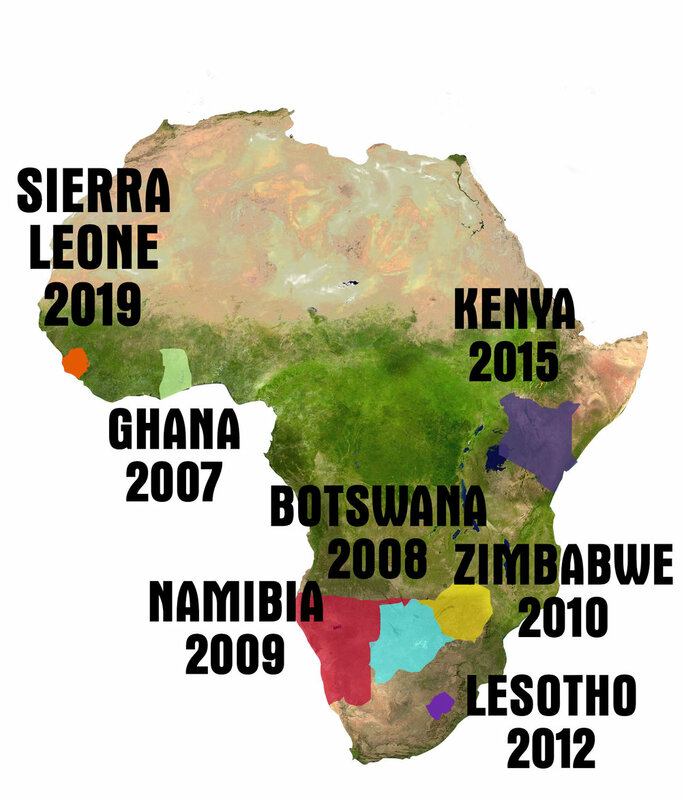 With hopes of creating job opportunities in the local community, Mike’s Bikes collects and sends donated bikes and start-up funding to these developing African countries as well provides mentoring to the owners of the Africa Sister Shops. The ninth shipment from Mike’s Bikes included 480 bicycles. It left the Port of Oakland bound for Botswana on May 25 and is expected to arrive in about six weeks.